This autumn, MUNRFE organizes Master Classes in Vladivostok and Blagoveshchensk. MUNRFE Vladivostok Club is going to conduct Autumn Master Classes 2018 “Never stop growing” from September 28 to November 4 on the premises of Far Eastern Federal University Campus in Vladivostok city. MUNRFE encourages students and high schoolers from Vladivostok willing to boost personal and professional growth to attend the Big Presentation of the AMC 2018 which will take place on September 28 in FEFU. Also, Blagoveshchensk MUNRFE Master Classes “Think bigger” are to be organized from September 17 to October 5 in Amur State University in Blagoveshchensk city. Participation in the MUNRFE Autumn Master Classes 2018 will not only boost personal development of young people but also offer participants an opportunity to practice their English through constant communication. On August 3-6, 2018, MUNRFE Governing Council Chairman Mr. Vitaliy Savenkov and MUNRFE Councilor Ms. Elena Kiseleva successfully performed their duties as the Secretariat at the WEMUN Expo Conference organized by WELAND. The Сonference was on the premises of the Beijing Olympic Convention Center in Beijing, China. Mr. Savenkov served as the Security Council Director while Ms. Kiseleva occupied the position of the Under-Secretary-General for Political Affairs at the Economic and Social Council. It was the first time MUNRFE had been represented at such an event by more than one person. 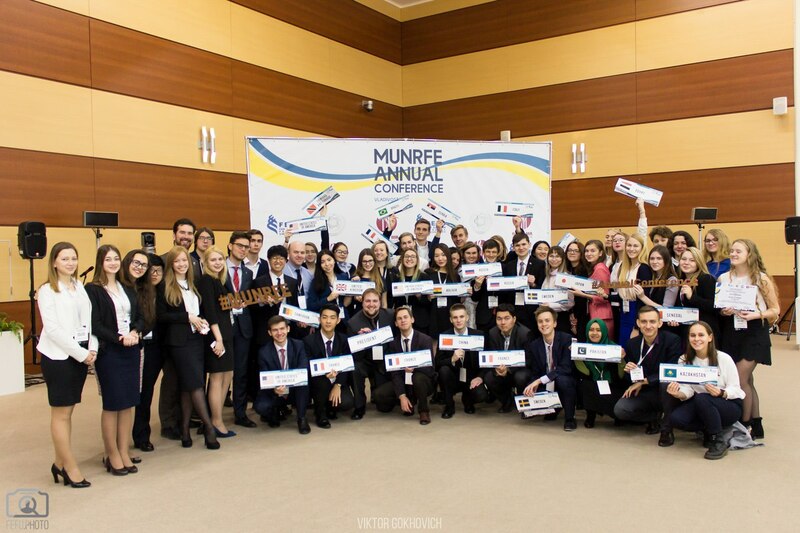 MUNRFE expresses its appreciation to Mr. Savenkov and Ms. Kiseleva for their hard work and desire to represent MUNRFE on the highest level at the large-scale conferences worldwide. The improvement of relations between Russia and China is one of the key directions of Russian foreign policy. 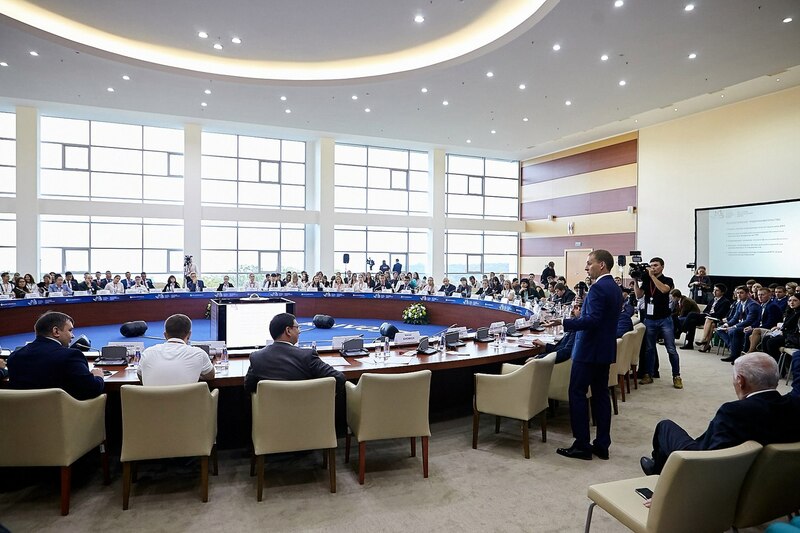 Far Eastern Federal University (FEFU) is actively involved in the process of engagement of students and experts from both Russia and China into working together, sharing their experience and increasing cross-cultural understanding. 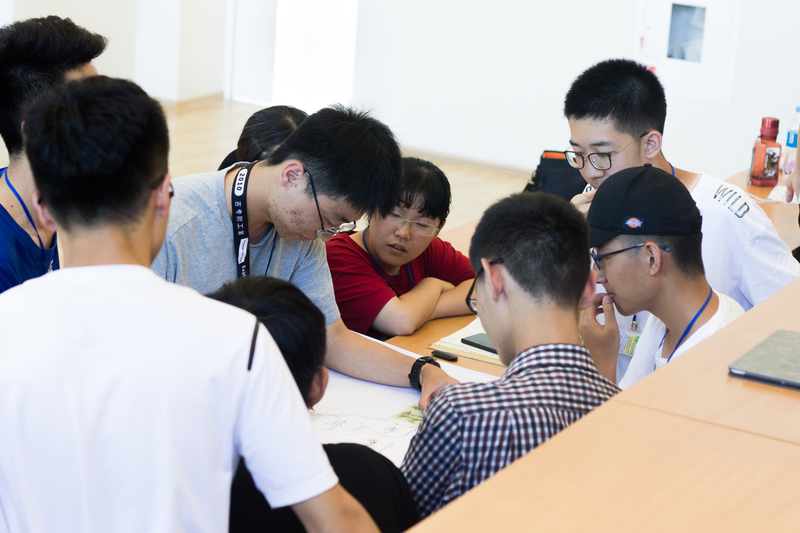 To that end, from July 25 to August 8, FEFU jointly with MUNRFE hosted 54 international students from China in frames of the Far Eastern Federal University-Harbin Institute of Technology Summer School (FEFU-HIT Summer School). MUNRFE was responsible for the majority of educational content. The Organization successfully used the opportunity to share its experience in leadership, time management, public speaking, team-building, goal-setting, and debates. Also, MUNRFE members shared their knowledge of the United Nations, and the Sustainable Development Goals. 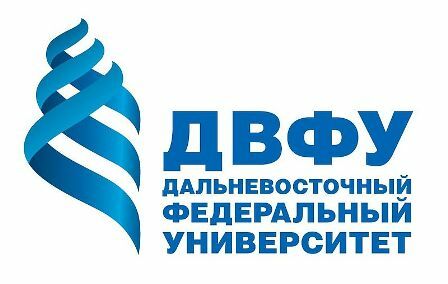 For the second time in a row, the program of Eastern Economic Forum (EEF) will include the events in frames of the Youth Platform organized with the purpose to boost professional capacities of the Russian Far East youth. On September 11, 2018, MUNRFE jointly with Far Eastern Federal University and Office of the Presidential Plenipotentiary Envoy to the Far Eastern Federal District will organize a lecture set by top-managers of well-known companies and corporations including Mitsubishi Motors and others. The invited guests are to discuss with participants the prospects of high-tech and share their vision of the future in 2030. The lecturers will also cover the topics of IT, medicine, smart cities, innovative production, crypto-currencies, artificial intelligence, education of the future and so on. Moreover, all participants involved will be awarded the certificates of a high value. 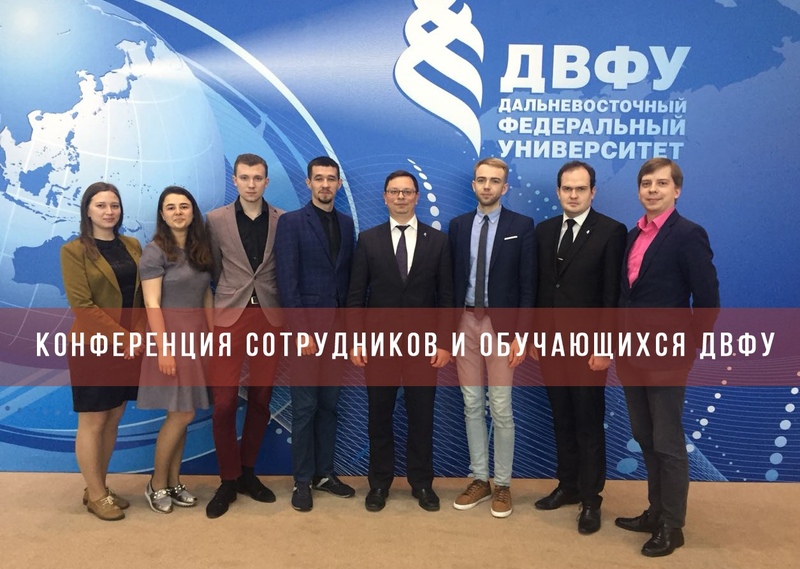 On the June 21, the Conference of Personnel and Students of Far Eastern Federal University was conducted under the agenda of new FEFU Academic Council members' elections. MUNRFE Executive Director, Ms. Ekaterina Tretiakova was among the four distinguished students who was elected to serve on the Academic Council for the next five years. Remarkably, Mr. Vitaliy Savenkov, MUNRFE Governing Council Chairman, was a member of the Academic Council during its previous term. The involvement of MUNRFE in this particular FEFU body is a prestigious opportunity that allows developing its relations with the administration of University. The Organization congratulates Ms. Ekaterina Tretiakova and wishes her successful and productive work for the Council. On June 11, MUNRFE Vladivostok Club alongside with the World Wildlife Fund (WWF) Russia Amur branch conducted the Climate Project 2018. During the event, Mr. Evgeniy Chuvasov, WWF senior specialist for the forest-climate project, delivered a lecture about the climate change and the role of forests in the maintenance of the sustainable environment. The participants had an opportunity to deepen their knowledge about international mechanisms of combating climate change. In particular, a great part of the discussion was devoted to Carbon Trade Exchange, Climate Projects, and other practical ways to decrease greenhouse gas emissions. 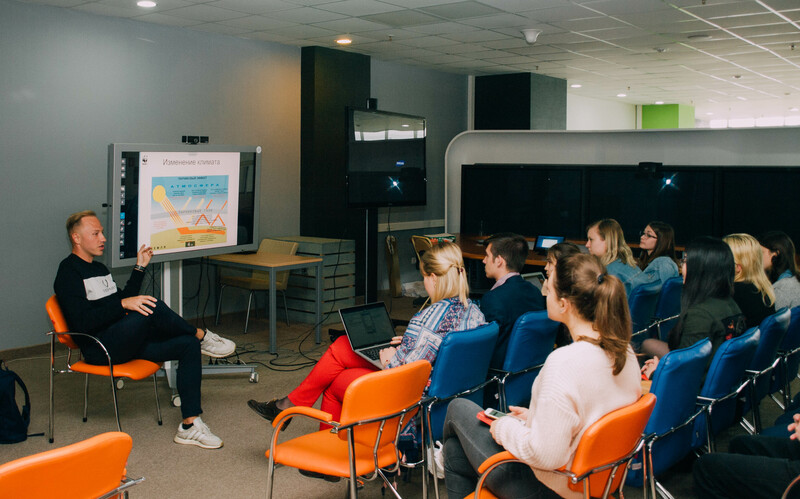 Besides, the lecturer briefly described the activities of WWF Russia Amur branch in terms of various methods of working with Far Eastern companies to reduce their impact on the environment. MUNRFE's mission is not only to help young talented people to influence the world but also to encourage youth to contribute to the development of the society. Besides, MUNRFE members are always willing to share their inspiration and optimism with everyone. In this regard, MUNRFE twice a year organizes social projects which include visits to orphanages in Vladivostok and Blagoveshchensk by Organizations` members. 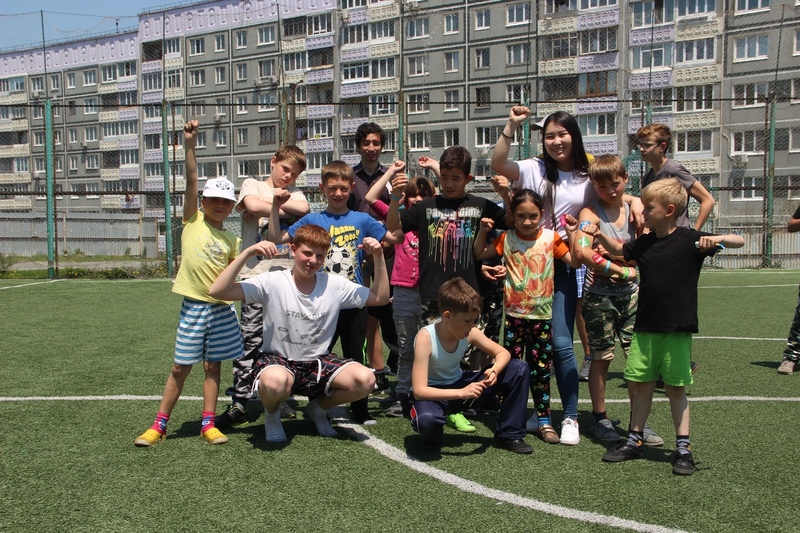 This semester, in frames of the Children's Day, Vladivostok and Blagoveshchensk Clubs implemented their projects on May 31 and June 2 respectively. Both Clubs prepared for children creative entertaining programs. 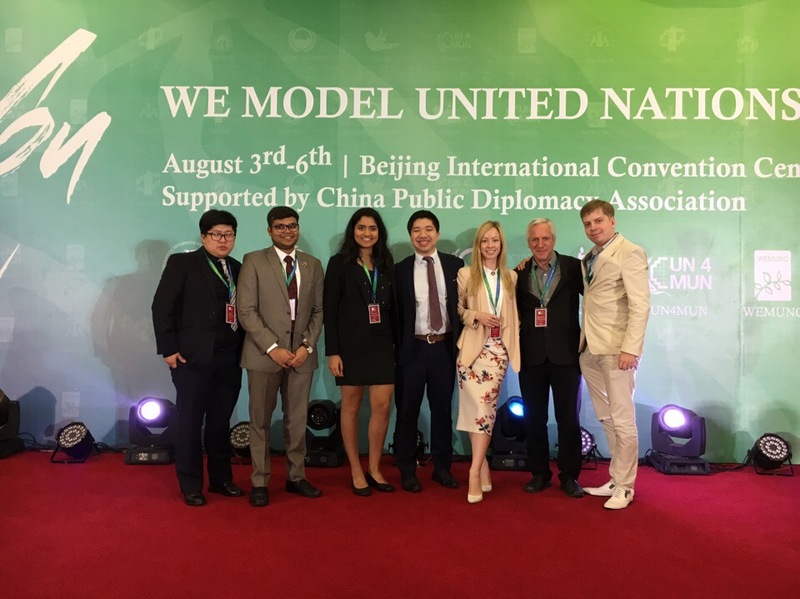 The Far Eastern Model UN 2018, which was conducted on May 4-7, resulted in the selection of the recipients of Diplomacy Awards who will represent MUNRFE at the National Model UN 2018 in Xi’an, China. Those delegates showed their capacities to perform successfully at the Conference. 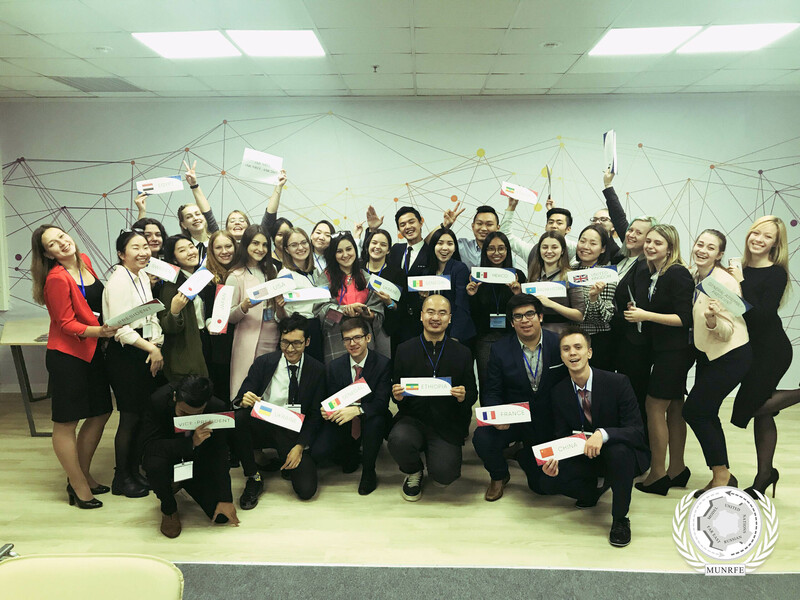 In this regard, MUNRFE is pleased to introduce to you the NMUN China 2018 team adviser – MUNRFE Vladivostok Club Acting President Ms. Aleksandra Kosyreva. She will be in charge of the delegation`s entire preparation process for upcoming NMUN. 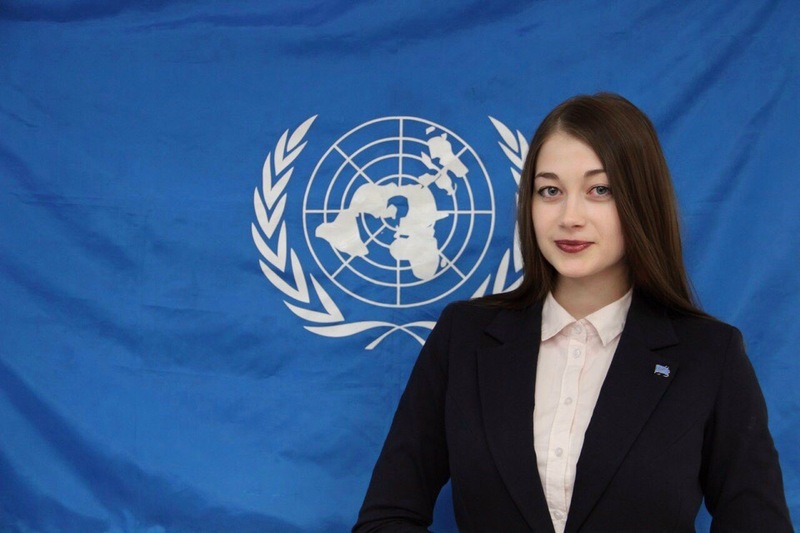 Representing the Organization at the National Model UN Kobe, Japan 2016 and National Model UN New York, USA 2017, Ms. Kosyreva demonstrated her proficiency as a delegate. At NMUN-Japan, she received an Outstanding Delegate award along with Outstanding Position Paper award and Outstanding Delegation award. Furthermore, at the NMUN New York 2017, her delegation earned an Honorable Mention Delegation award.